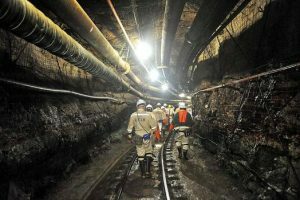 The latest and second move by the Mineral Council of South Africa (MCSA) to increase salaries of skilled employees between 3,5% (Sibanye-Stillwater) and 4,5% (AngloGold Ashanti and Harmony) is lower than Solidarity members expected. However, according to Gideon du Plessis, General Secretary of Solidarity, this move creates a platform for continued constructive negotiations. He said that the increase of the monthly housing allowance from R2 100 to R2 200 is a step in the right direction, but still not sufficient. According Du Plessis, Solidarity welcomes the Council’s agreement to negotiate further on the revision of production bonuses to investigate the potential negative impact thereof on safety. Du Plessis stated that Solidarity welcomes some of the mining houses’ positive reaction regarding the request to offer employees additional medical fund options, and the willingness to acknowledge trade union members who pay their membership fees by debit order because only pay roll deductions are currently acknowledged.